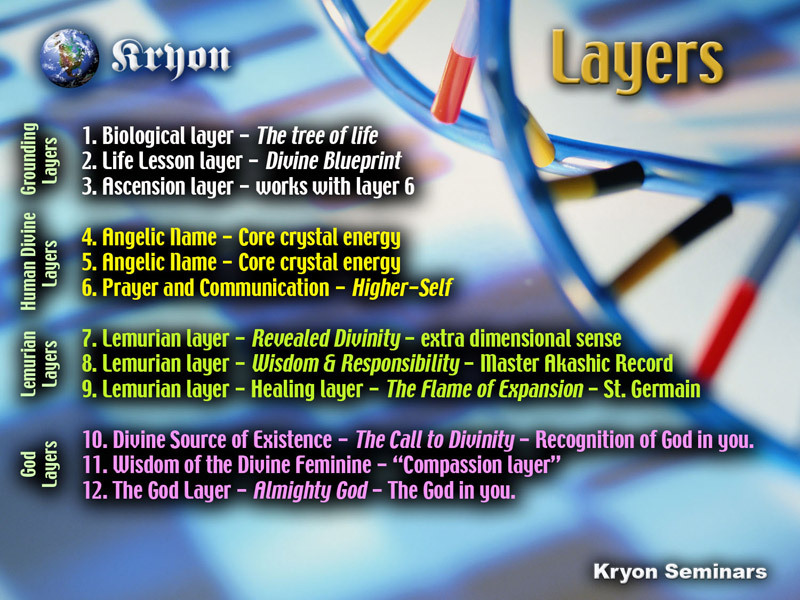 This is a "LAYER SUMMARY" as presented in the Kryon lecture series. This is an actual copy of the slide Lee uses in his presentation of the 12 layers. If you got to this page directly without going through the DNA menu, we suggest you read the explanation about the use of Hebrew, and some of the decisions that were made regarding it.